Holding The Free in my hands – before reading a single word – felt good. The ragged-edged pages felt lived in, worn-down, meaningful; reflecting the worn-down lives of the characters within. Pauline, Leroy, Freddie – oh my – how beautifully drawn they are. 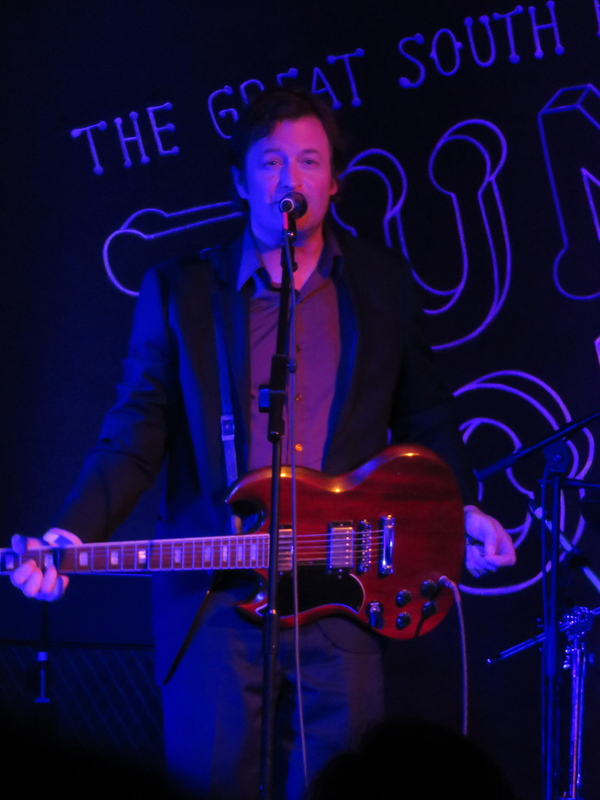 I was lucky enough to chat to Vlautin when he was in Auckland this month with his new band The Delines. Click here to read more and to – wahoo! – be in to win a free copy of The Free. “What are you going to do this weekend?” she asked again. “What do you think?” he said and put his face back down to the soup. He held the spoon like a knife and began shoveling it in and again broth fell to the able. “I don’t know really,” she answered in her own voice. “Maybe I’ll go to New York and become a prostitute (22). My second favorite thing about The Free is the italics sections. I eventually decided these sections were the inside of Leroy’s waking/sleeping, it-doesn’t-matter-which-it’s-all-hell, mind. They are the nightmarish result of Leroy sinking further and further into his mind. The most interesting thing about the sections are that they subtly weave together three strands in a psychological braid: the sci-fi stories his mother reads out loud at his bedside, memories of the best time in his life – with Jeanette, and the horrors of fighting in Iraq. The title comes from these sections – ‘The Free’ are the vigilante group who caught people with ‘the mark’ (you’ll understand once you start reading). “But all these problems would be, they would always be in the shadows, and every person has their shadows. He’d keep his job and with his daughters back he had a home again and a purpose. His life wasn’t a nightmare anymore. He was free” (291 – I’ve added the bold). Pauline was a beautiful ray of hope throughout the whole book, embodying the book’s dedication: “For the patron saint of nurses, Camillus de Lellis”. I was listening to ZB (NZ talk-back radio) yesterday and was shocked to learn most elderly care workers in New Zealand are paid a paltry NZ$14 – $15 per hour – this for cleaning up feces, heavy lifting of patients and whatever else is required of them. To the woman who phoned in who worked in the community for this rate, and whose employer didn’t even cover her petrol costs – kia kaha. You are my Camillus, my Pauline. Oh, I almost forgot. Let’s make it three favorite things. Thank you Willy Vlautin for introducing me to the music of Amália Rodrigues, also known as Rainha do Fado (“Queen of Fado”). Wikipedia tells us that ‘fado’ is “characterized by mournful tunes and lyrics . . . and infused with a sentiment of resignation, fatefulness and melancholia. This is loosely captured by the Portuguese word saudade, or “longing”, symbolizing a feeling of loss (a permanent, irreparable loss and its consequent lifelong damage)”. What a beautiful and fitting soundtrack to the damaged lives of the characters in The Free. 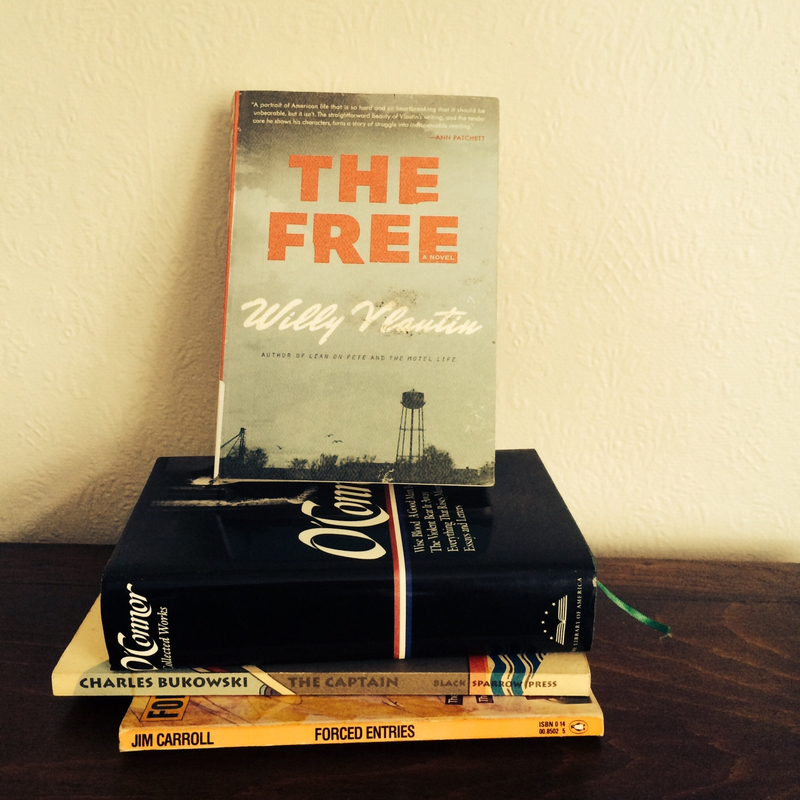 The Free is my best book of 2014 so far. And it’s as good as November.